MacLeod is known for his superb songwriting, guitar wizardry, warm soulful vocals, wit and unforgettable live performances. At the heart of a Doug MacLeod performance is his knack for storytelling, bringing characters-from the faceless to the legendary-to strikingly real life. Doug is a multiple Blues Music Award winner, most recently the 2018 Blues Music Award for Acoustic Album Of The Year ‘Break The Chain’ and the 2017 Blues Music Award for Acoustic Artist Of The Year. Doug MacLeod’s newest release, ‘Break The Chain’, is quite possibly his strongest release to date, which speaks volumes. Each song extremely personal and at the same time, universal; covering subjects topical, humorous, and soulful; from the satirical to the sublime. The title song, ‘Break The Chain’, which was co-written and performed with his son Jesse. The song focuses on breaking the cycle of family violence and abuse, Doug and Jesse confront this pervasive issue directly. Together, they share the healing, reconciliation and peace available to all who work to prevent the cycle and Break The Chain. As a youth Doug overcame abuse and a crippling stutter by turning to music. After picking up a guitar, and singing - he found his voice. MacLeod's playing landed him sideman gigs with George 'Harmonica' Smith, Big Joe Turner, Pee Wee Crayton, Eddie 'Cleanhead' Vinson, Lowell Fulson and Big Mama Thornton. 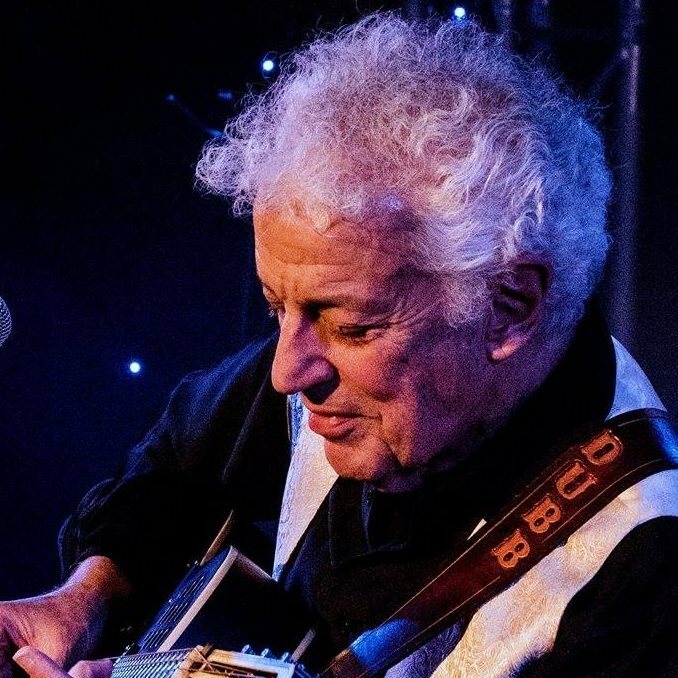 Over 30 years, 21 studio albums, several live records, compilations, a blues guitar instructional DVD and a live performance DVD, MacLeod has consistently earned raves. His songs have been covered by many artists including Albert King, Albert Collins, Joe Louis Walker and Eva Cassidy. MacLeod's songs have been featured in many TV movies and the hit show In the Heat of the Night. August Wilson requested his soulful slide guitar playing in the Los Angeles opening of "Gem of the Ocean”. From 1999 to 2004 Doug hosted Nothin' But The Blues, a very popular weekend blues show on Los Angeles' KLON-KKJZ. He has also been the voice for The Blues Showcase on Continental Airlines. For ten years he penned "Doug's Back Porch," a regular feature column in Blues Revue Magazine in which he shared his humorous and insightful stories with thousands of readers. He is one of the four featured artists in the movie “Resonate: A Guitar Story”, the feature documentary on the making of National Guitars. Like the old masters who taught him, MacLeod's music expresses life and times through an intangible, elusive quality that may simply be a keen sense of what matters most. Doug’s music, stories, and philosophy provide a healing that has helped others overcome the hardships of their lives. As Pee Wee Crayton's widow Esther once told Doug, "You have a message and you'll send that message mainly to the people who don't go to church." Amen.